Open House Sunday, April 6th from 2-4PM. PRICE REDUCED! 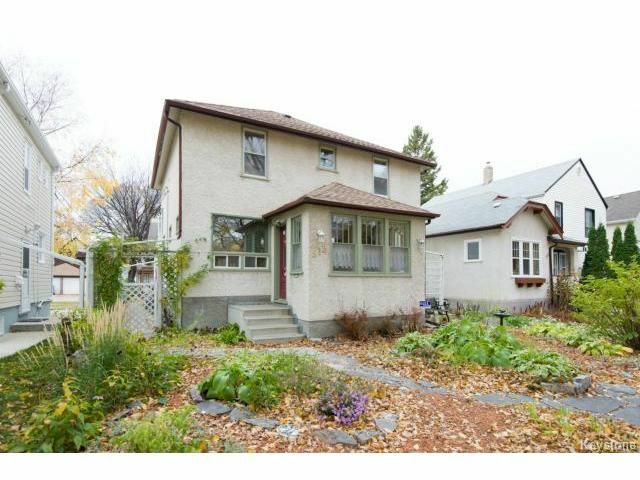 Urban Family Living in large 2,112 sq.ft home located in Old St. Boniface. Light and Modern - Glorious Hardwood floors reflect light from the large windows in the living and dining rooms. Chunky baseboards as well as ceiling molding in feature rooms blends updated classic details and family-friendly comfort and are just some of the charming architectural details found throughout the home. A remodeled kitchen provides an elegant gathering space and flows into the spacious dining room - the owners just had a sit-down dinner for 40! 4-Bedroom plus 2-guest rooms in basement, 2.5 bath, front sun room, sump pump & backwater valve. Addition done in 2002, updated kitchen and bathroom. Also, newer windows, furnace/HW tank, shingles (2002 and 2010), and some electrical updates. Close to St. B Hospital, schools, recreation facilities and restaurants/cafe?s. Don?t miss this spectacular home!